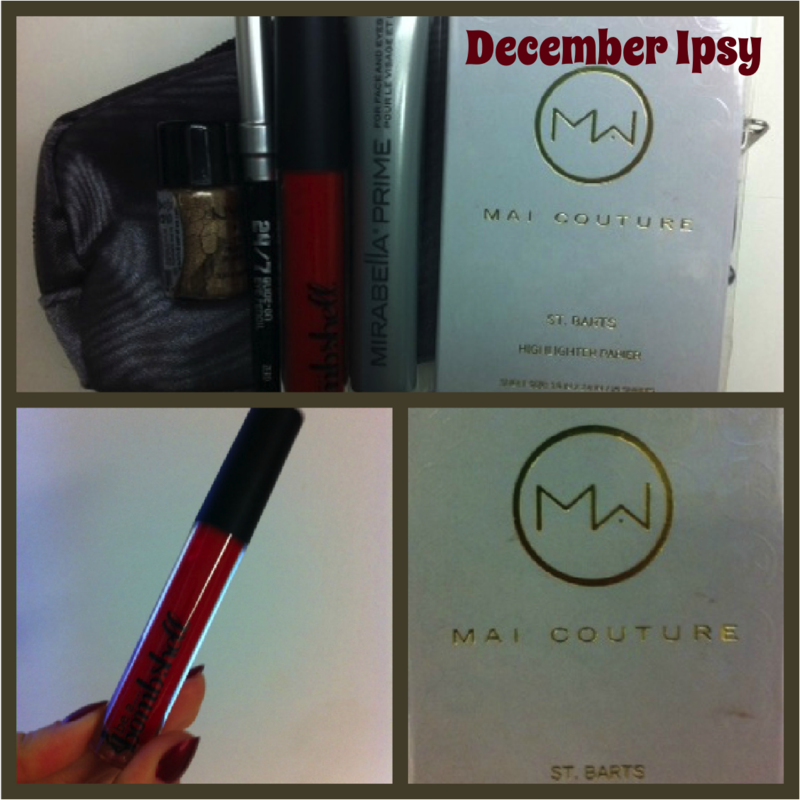 I am a HUGE fan of this month's Ipsy bag!! First off, even though the bombshell lipgloss is a little "loud" - when I wear a thin layer of it, I do like it. It's different for me. Usually I stick to calmer colors but am loving how long this product lasts, too! The Mai Couture Highlighting Paper is something I have never heard of until December's bag. I was skeptical at first, but once I figured out how to use them - HUGE FAN. They are so easy to use and add a beautiful little extra "something" to your face. 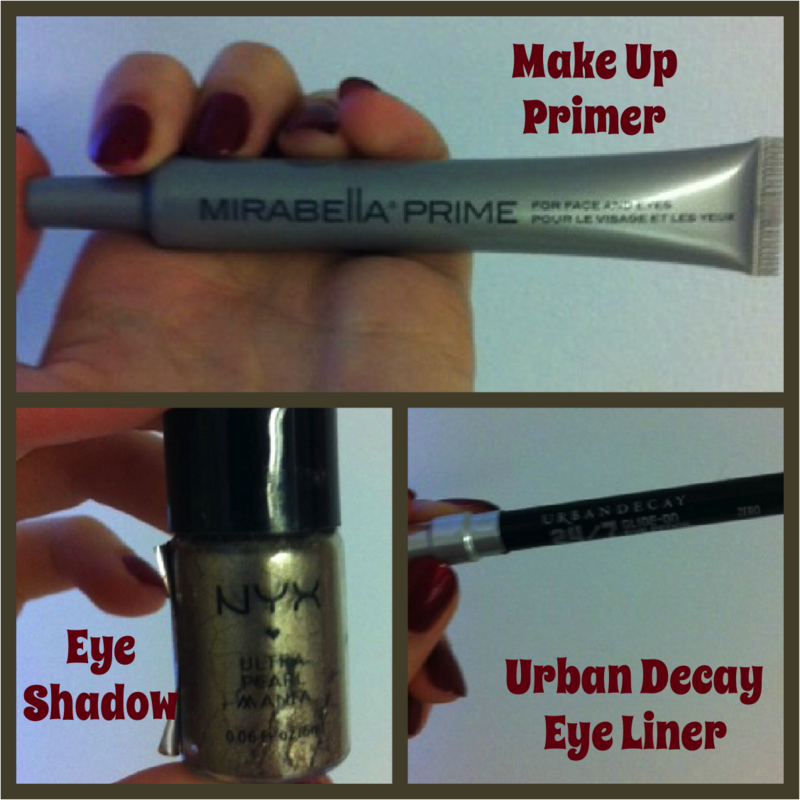 Recently I stared using eye shadow primer so when I saw there was Mirabella Prime in the bag, I got SO excited. It has converted me to a frequent face primer wearer - it makes my foundation and concealer stay on all day. NYX Eyeshadow. OMG. I don't know if it's this color or the product itself, but I am IN LOVE!! Serious. The color is just so amazingly gorgeous and it lasts all day. At first I thought this was going to be "too much" to wear on a daily basis but it is what I would say PERFECT. Urban Decay Eye Liner? YES. It's a pencil (which I stopped using and started using liquid) but this is an amazing pencil that is easy to use and lasts all day. All of these products are close to full products which AMAZES me. I am a huge fan of EVERY single one of these products. Might I mention that I am so glad I said goodbye to Birchbox?! It was a great bag love the primer! Hmm, maybe I should try this Ipsy. Kind of tired of my Birchbox. Need change. :) Your bag looks awesome. I'm glad you finally gave up Birchbox! I liked this months Ipsy box as well. The highlighting paper is cool, I never even knew they existed lol. Merry Christmas! Hello Cami,I can't go to bed without wishing you a wonderful 2013. I hope that the holidays were as special as you are. I love your makeup tips and the interest you take in all that you do. We arrived home after Christmas from our trip to Europe. We had a wonderful time. The sights were amazing and we would love to go again. A different place though. It is good to be home though. We quietly celebrated the New Year but tomorrow my sisters and NC family will be here for dinner. A small crowd of 15. Fun times. What a great bag of goodies!! Happy New Year to you!